Tackling Tuberculosis (TB) is one of seven key priorities for Public Health England and it’s a public health problem that we absolutely have to overcome. Our incidence of TB is four times higher than in the US and if current trends continue, England will have more TB cases than the whole of the US within two years. This is not acceptable. To get on top of this problem we've been working closely with NHS England and a coalition of key stakeholders to develop a collaborative TB strategy for England which we launched this week (19 Jan 2015). Our ambition is to achieve a year on year reduction with the ultimate aim of eradicating TB across England. Following major declines in the incidence of TB during most of the 20th century, the incidence of TB in England increased steadily from the late 1980s to 2005, and has remained at relatively high levels ever since. Let me give you some worrying stats: in 2013 there were 7,290 cases of tuberculosis reported in England, which is a rate of 13.5 cases per 100,000 population. A total of 2,985 cases occurred in London alone, a rate of 35.5 cases per 100,000 population, nearly three times higher than the national average. This is mirrored by rates in Leicester (53.1), Birmingham (38.0), Luton (41.3), Manchester (37.0) and Coventry (36.2), demonstrating that tuberculosis is predominantly concentrated in large urban areas (2011-2013 average rate). London is widely cited as being the tuberculosis capital of Western Europe, with examples of outbreaks in other countries originating in the UK. Other comparable countries have seen sustained declines in rates over the past decades, mainly due to improved control. Failure to prevent, diagnose and adequately treat tuberculosis cases is also leading to the development of drug resistance, onward transmission and outbreaks, including outbreaks of multidrug resistant tuberculosis. Our recent TB in the UK report includes more information and statistics (also see graphic below). Why are the incidence rates a concern? Tuberculosis is a preventable and treatable disease that disproportionately affects vulnerable and disadvantaged populations. We have the means and knowledge to substantially decrease the incidence of tuberculosis through our new strategy. What measures can be taken to improve TB control? Tuberculosis control requires a combination of medical and social interventions to address its underlying determinants. Our strategy contains ten key areas of action including the prompt identification of individuals who are infectious and ensuring that they are placed on appropriate treatment. Communities where tuberculosis is common and services that support individuals in these communities all need to be aware of the symptoms of tuberculosis so that they can seek care. Other measures include vaccination of high risk groups, maintaining our excellent diagnostic services, tackling drug resistant TB, identifying and treating those with latent TB who are at high risk of progressing to active disease, ensuring contact tracing happens when a new case is diagnosed and planning the workforce required to deliver these interventions. Who is contributing to beating TB? We have received considerable input in the development of the strategy from colleagues across local government which has helped improve our approach. The implementation of the strategy will include a significant role for local government in ensuring that the wider social determinants of TB are addressed and that people affected by TB are supported to take their treatment. PHE and NHS England together with local government and a range of partners must work together to make sure all aspects are implemented. We are lucky to have an All Party Parliamentary Group on Global TB which is very supportive of domestic TB work. We also worked closely with the APPG on TB to develop the strategy. 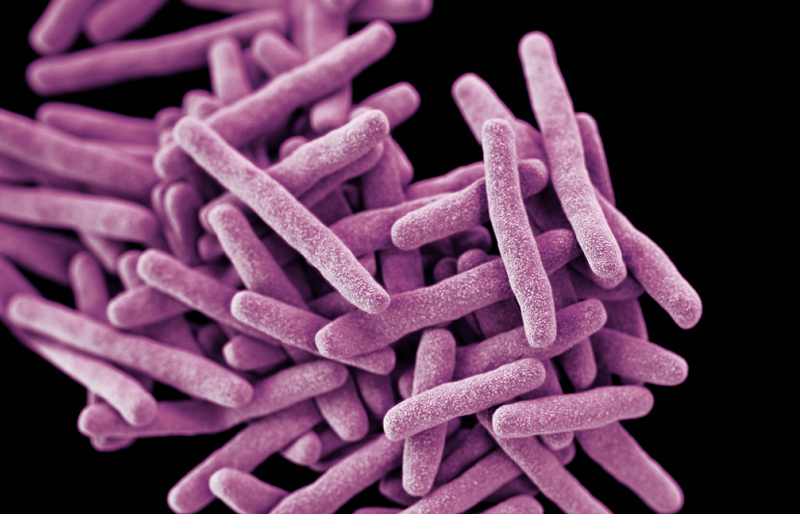 For the first time in several decades, two new antibiotics Bedaquiline and Delamanid have received approval for the treatment of drug resistant tuberculosis. This is fantastic news especially for very severe forms of drug resistant tuberculosis where almost no antibiotic is effective. This is no time for complacency as we have far fewer candidates in the pipeline for new drugs. More needs to be done to identify shorter treatment regimen for tuberculosis from the current six months required for drug sensitive TB and longer for drug resistant TB. This will help tackle the global TB problem. The UK MRC and DFID continue to support projects that are evaluating new and innovative regimen for tuberculosis. Unfortunately, there are no new effective vaccines available for tuberculosis that improve on BCG. Further research is ongoing on a range of candidate vaccines, including several projects that colleagues at PHE are leading. The Launch of the Collaborative TB Strategy is just the first step in achieving our objective of effective tuberculosis control – we now need to work with partners to implement all the measures we’ve outlined. The £11.5 million new funding announced will ensure that latent TB screening and tuberculosis in under-served populations is tackled. Our progress will be monitored using the published set of indicators. Thanks for a great blog and insight into what is a key area of work. When put into perspective it the figures and challenge it is right it receives the focus it does. I wondered if it may be that a future blog on this matter could identify with the signs and symptoms of Tuberculosis (TB) for the lay reader. I also wondered if it was possible to expand the acronyms in the sentence .." The UK MRC and DFID continue to support projects that are evaluating new and innovative regimen for tuberculosis." I think the key is a Collaborative TB Strategy and, whilst I have not yet read the strategy I believe it is vital we involve people and communities to guide how best to make it local to the areas impacted by TB.